Deals Available from Monday, July 16 – Wednesday, July 18th 2018! 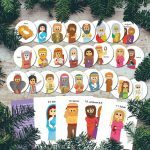 Buy One My Jesse Tree – Magnet and Card Set with printable Jesse Tree Get one FREE My Jesse Tree Magnet Set. 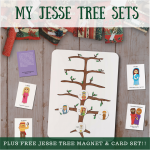 My Jesse Tree Set with Jesse Tree MAGNET BOARD Get My Jesse Tree – Magnet and Card Set FREE My Jesse Tree Magnet Set with MAGNET BOARD. 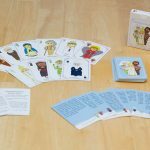 FREE sold out Original Fishing for Saints with 12 Saint Subscription or $45+ purchase before shipping My Catholic Magnet Subscription. I will add this to your order when shipping, it won’t show up in your cart.